Social media platforms are facilitating surveillance by selling their users’ data to apps which are used by the police and other organisations, according to the author of a new study. The image messaging company Snapchat recently tried to soothe worries over their controversial Snap Map feature by saying that they “routinely work with law enforcement” (The Sunday Times, 16th July 2017). 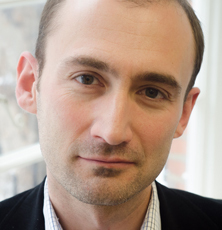 However, a new report, by Dr Neil Thurman of City, University of London and LMU Munich, reveals that the practice of selling data to app providers has allowed law enforcement agencies to use social media to monitor those not suspected of any crimes, such as legitimate protesters and trade union members. He says the Snapchat Snap Map feature, which enables users to track their friends, is the tip of the iceberg and surveillance of social media users is not going away. Dr Thurman says Snapchat gives access to its data (via an application programming interface, or API) to third-parties for the purposes of selling advertising on its platform, and this includes data about users' locations. However, he says there is no evidence that Snapchat is routinely providing or selling access to its users' data (including via third party apps) to law enforcement. Dr Thurman, of the Department of Journalism at City, said: “Snap Map is just one of a range of apps that allows social network users to be monitored without their knowledge and with pin-point accuracy. Indeed some of these apps far exceed Snap Map in their surveillance capabilities, and are able to track individuals over time and across multiple social networks. In his latest study, Dr Thurman looked at a range of such apps – including Echosec, Dataminr, Picodash and SAM. While Snapchat’s Snap Map is aimed at the public, many of the other social media monitoring apps are aimed at professional users, including the security forces, journalists and marketeers. Their use may bring citizens and consumers some benefits. For example, one app, Dataminr, claims to have delivered alerts on shootings and explosions “ahead of major news reports”, allowing “emergency responders to act quickly to protect the public.” Another app, Ground Signal, allows retailers and restaurants to see when social media users post from their premises and “engage” them with “VIP treatment”. But there is a darker side to social media surveillance. In his study, Dr Thurman interviewed journalists who were given an opportunity to experiment with some of these apps professionally. One said that being able to track the locations of individual social media users felt “slightly morally wrong and stalker-esque”. However, reservations like this are apparently not universal. “One of the apps my report describes, Geofeedia, was used by hundreds of law enforcement agencies, promoted as giving the police the power to ‘monitor’ – via social media – trade union members, protesters, and activist groups, who the company described as being an ‘overt threat’”, said Dr Thurman. The Geofeedia controversy led to its demise, with social networks refusing to persist in supplying the app with a pipeline of posts for fear of further negative publicity. However, according to an article in the business magazine Forbes, cited by Dr Thurman, the sheer number of apps that have been built on their platforms makes it impossible for the leading social media networks to prevent this form of social surveillance. The results of the study have been published in the journal Digital Journalism.